This book serves as an introduction to embedded systems design, using microcontrollers as core components. It develops concepts from the ground up and is tailored around the architecture of a widely used Texas Instrument's microcontroller, the MSP430. 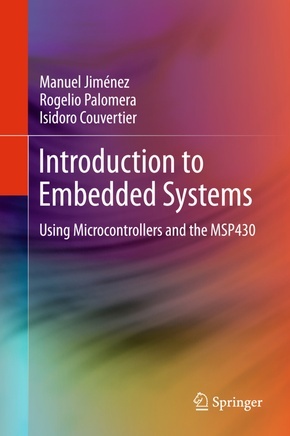 This textbook serves as an introduction to the subject of embedded systems design, using microcontrollers as core components. It develops concepts from the ground up, covering the development of embedded systems technology, architectural and organizational aspects of controllers and systems, processor models, and peripheral devices. Since microprocessor-based embedded systems tightly blend hardware and software components in a single application, the book also introduces the subjects of data representation formats, data operations, and programming styles. The practical component of the book is tailored around the architecture of a widely used Texas Instrument's microcontroller, the MSP430 and a companion web site offers for download an experimenter's kit and lab manual, along with Powerpoint slides and solutions for instructors.